2765 Evergreen Dr, Cambridge, WI.| MLS# 1844850 | John Reuter Realtor/Broker/Owner of The Reuter Team. Wisconsin Homes for Heroes Realtor. Proud to be the Top Homes for Heroes Realtors in Wisconsin and One the Top Homes for Heroes Realtors in the United States. 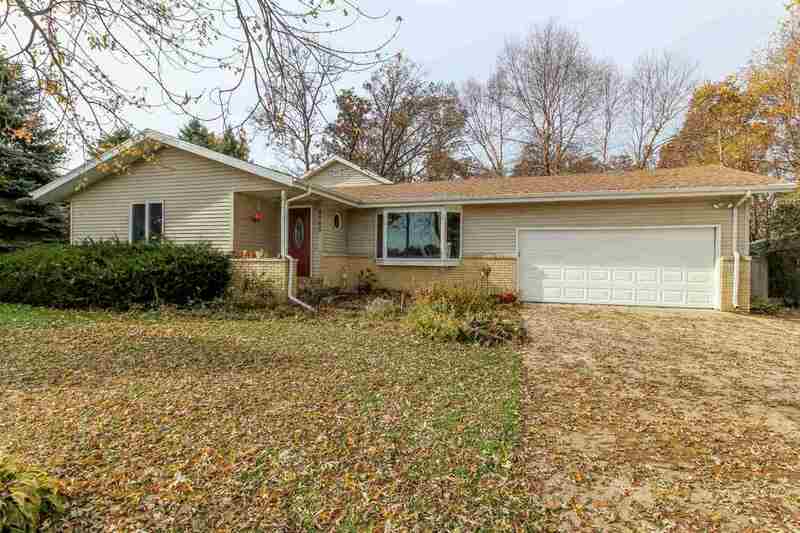 Convenience of country setting, yet manageable lot size w/short drive to Madison, Stoughton or Cambridge. Flowing floorplan w/formal living room up front and a family room with wood burner overlooking the wooded back yard. Spacious kitchen with island, wood floors and a multitude of cabinets, counter space and built-in desk. Fin LL with room for an office, rec room &/or game room. LL also houses a full bath & large laundry rm. No lack of storage w/2 sheds & workshop accessed from backyard. Whether you want to garden or have pets, there is room to roam or grow in the sectioned fenced yard.